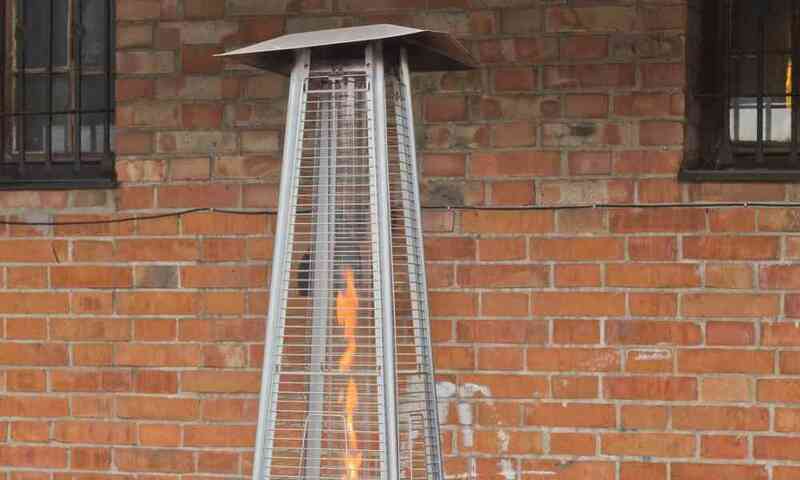 The Fire Sense is a commercially usable heater that is durable and sturdy. The structure of the entire heater is made of stainless steel and the heating grid is large and double layered for security. The heater produces 46,000 BTUs of energy and can warm patios of any size. The switch is electric and can be easily turned to start and turn off. The product uses a 20-lb. propane tank that sits encased inside the footing of the lamp. 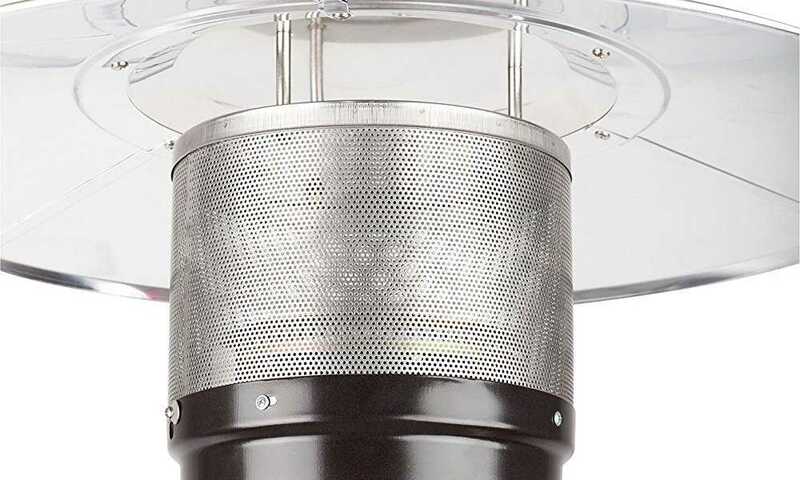 The Fire Sense Commercial Patio Heater is safe to use and has a wide umbrella top to efficiently deflect heat downward; heat will be spread well across the patio, and the heater will securely be kept in place when winds blow. 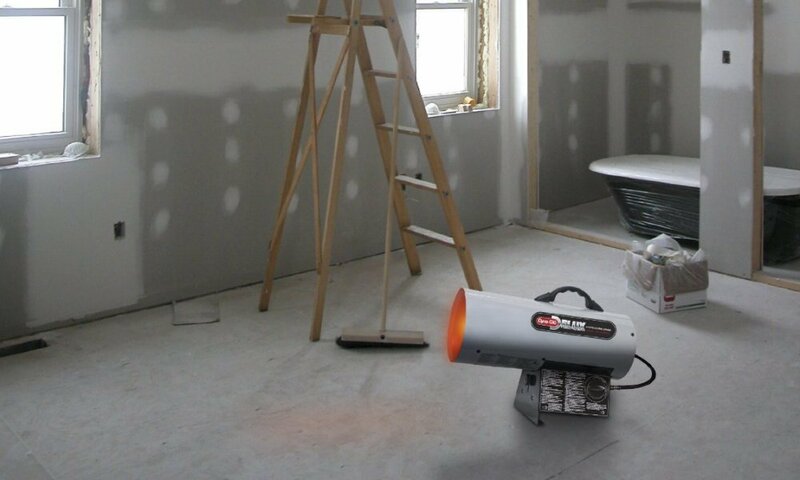 The heater can easily be moved to any desired place because it has two wheels at the bottom. It is lightweight and tall at 89”. 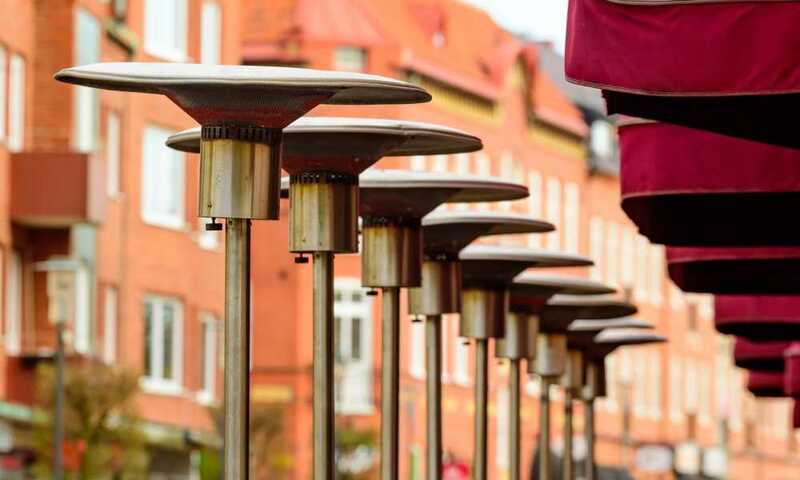 The product will endure through any kind of weather because the brass finish will keep it resistant to rust. The smooth finish makes the product easy to clean. A 1-year warranty ensures product and parts replacement. 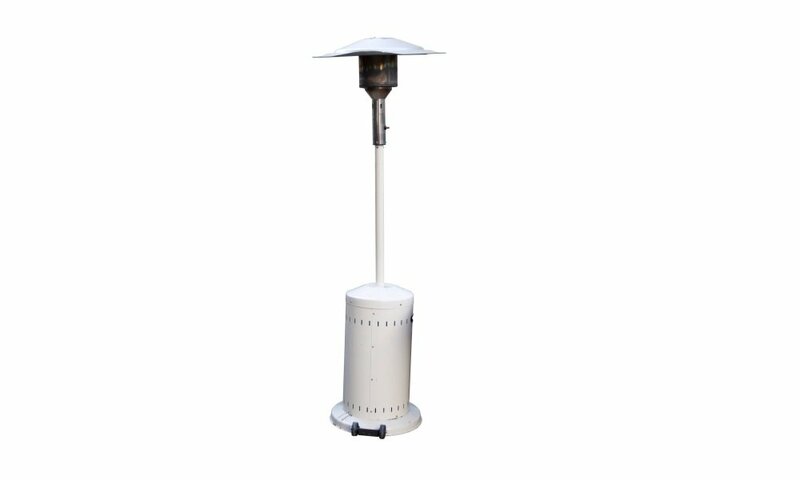 The Fire Sense Commercial Patio Heater is sturdy and stands well outdoors. The stainless steel frame is good quality and durable. 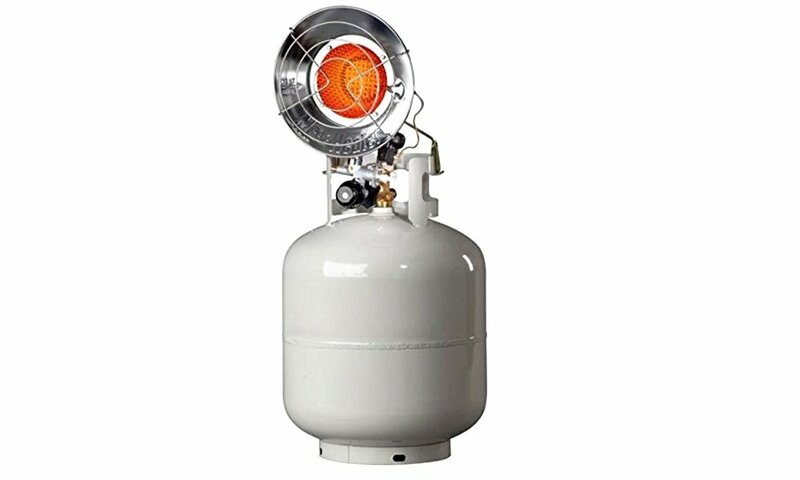 The footing of the product is kept stable by the propane tank and the balanced structure of the heater’s base. 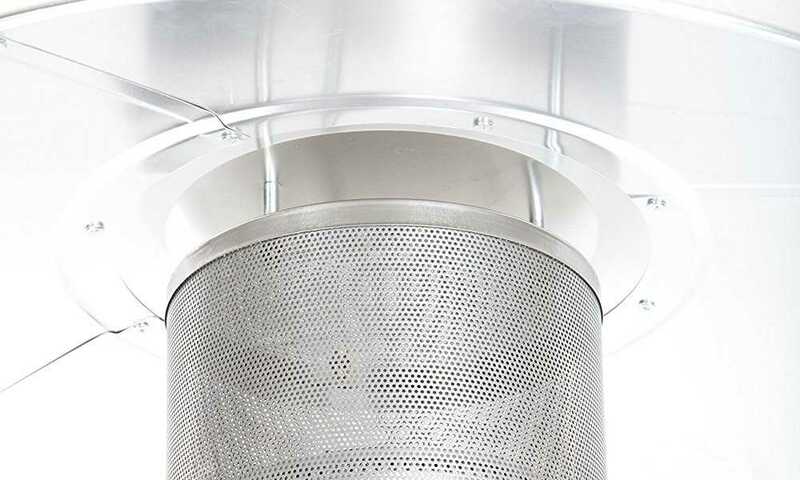 The burner is covered by two layers of stainless steel mesh screen that protect it. The finish of the entire product is brass and is coated well, which makes the product resistant to rust. The heater is easy to assemble and its parts come complete with the unit. Assembly will not require additional tools or fittings, and the assembly time is short and uncomplicated. All of the instructions are indicated in the manual. The height of the product is tall at 89”, which makes the lamp hard to reach by children but not too tall to distribute the heat efficiently. The heat generates at 46,000 BTUs, which can make the temperature rise by a few degrees in a short span of time. The ignition is electronic and is easily maneuvered. You will not have to use lighters or matches to light it. In case of emergency, the heater can be turned off right away with its automatic stop function. When running, the flames are contained by the double-steel mesh with no flames blowing out. The product is easy to transport because of the wheels at the bottom; the heater can be easily moved from one place to another. The heater is good for use in outdoor gardens and large function halls. 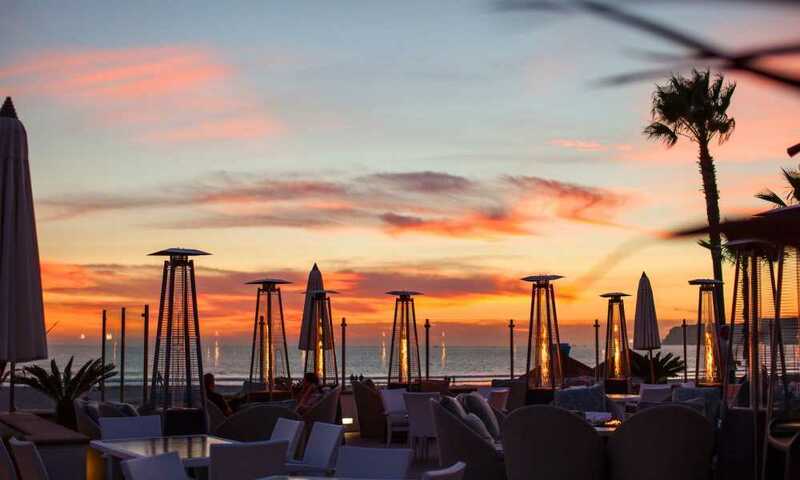 The grade of the product is commercial level, which means it can be used by restaurants and hotels with large open spaces. More events can be accommodated outdoors, with more space for guests as the heater raises the temperature to a more comfortable level. The elegant look of the product adds to the venue’s classy ambiance. Fire Sense gives a one year warranty for the product that ensures replacement of the damaged unit or parts. The company will double the warranty if users post a review on the site. Starting the product may be tricky. After assembly, the unit has to have adequate gas moving to the burner. This will require you to turn the ignition switch and hold it for a couple of seconds for the gas to rise. When pressing the ignition button, the flame will burst out if there is too much gas. You should also be careful not to press the ignition for too long, or put too much gas pressure to the burner. Some units may be dented, or rust if the paint is chipped off. 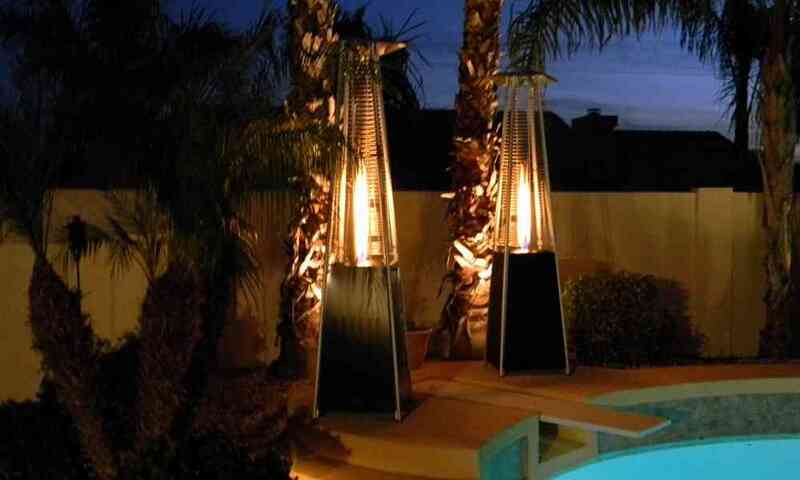 The Fire Sense Commercial Patio Heater is a beautiful, elegant looking heater that is tall and looks good on patios or in gardens. The finish is a smooth bronze color and it is made of stainless steel. The heater is guaranteed to be rust free. 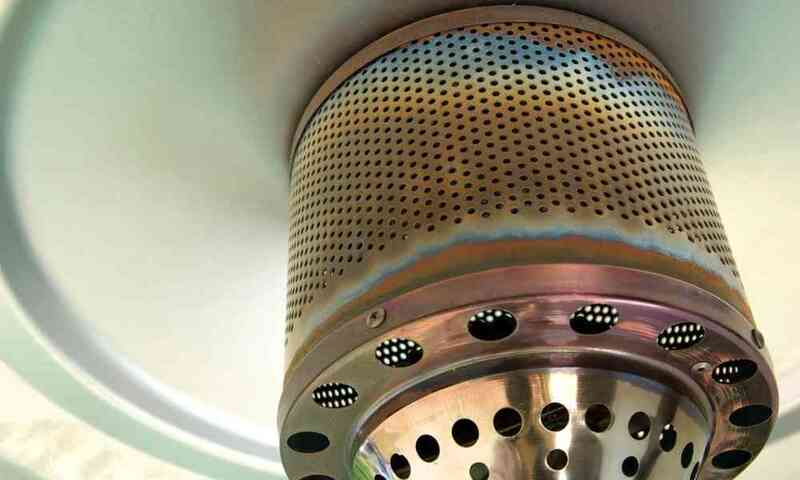 The burner is covered by stainless steel double mesh that will contain the flame. It is a certified safe product and has an automatic shut-off mechanism. The product is tall and radiates heat across a wide area.